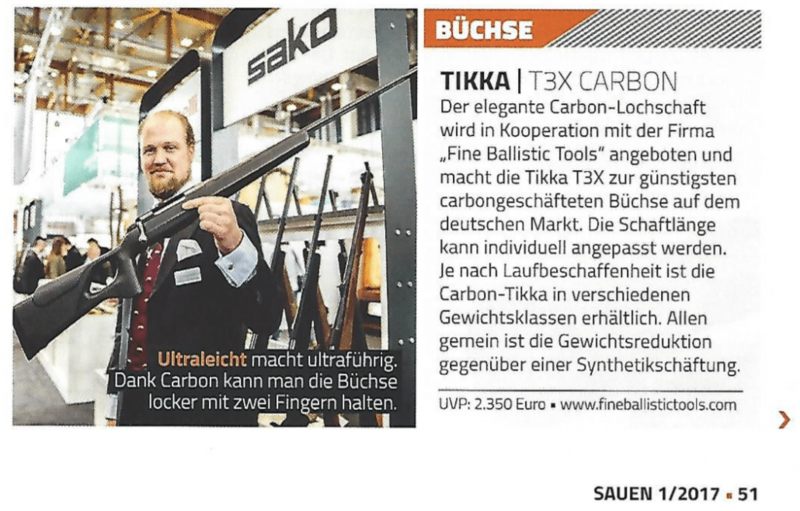 Our partner Steyr Mannlicher enjoys great media attention. The “STEYR CARBON” is Steyr-Mannlicher’s most up-to-date product, combining highest quality with a superergonomic carbon stock. 100% Made in Austria.